The AMA Group announced today it would buy Australia’s No. 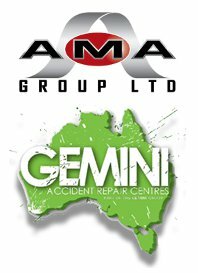 1 collision repair company Gemini, a consolidator consolidation which will result in a 70-shop chain across Australia and New Zealand. Gemini will have to achieve what AMA called in a news release a “financial performance hurdle” to receive the largest combined payout, $71.3 million (in U.S. dollars) under the deal. That $71.3 million would be 7.5 times more than earnings before interest, taxes, depreciation and amortization. The companies together should bring in $178.3 million a year, according to the AMA Group. AMA has 29 auto body shops in northwest and southeast Australia. Based on the future annual revenue statistic, AMA shops brought in $71.3 million in the last fiscal year. AMA Group Executive Chairman Ray Malone said the move would drive even further consolidation in Australia. “Gemini is an extremely well run business with very competent management and effective systems in place,” AMA Group Executive Chairman Ray Malone said in a statement. Gemini Executive Chairman Andrew Hopkins will become CEO of AMA Panel and receive an AMA board seat. National Collision Repairer editor David Newton-Ross on Monday indicated Malone’s comments on consolidation weren’t just hype. “This is a significant move in the market place and I am sure that AMA is not finished with acquisitions and will no doubt be looking to further cement their place as the consolidator of choice in Australia-and now maybe also New Zealand!” Newton-Ross wrote Monday. Gemini will earn about $19.3 million to $20 million immediately (depending on its working capital). AMA will then give Gemini $35.7 million in shares at $0.43 each but keep those in escrow for 3.5 years. Roughly $25 million of that will earn dividends during that time. The other $10.7 million won’t earn interest. After the 3.5 years, AMA will pay Gemini another $10.7 million. However, if Gemini doesn’t meet that “performance hurdle,” the share and cash payouts after that time won’t be as high.